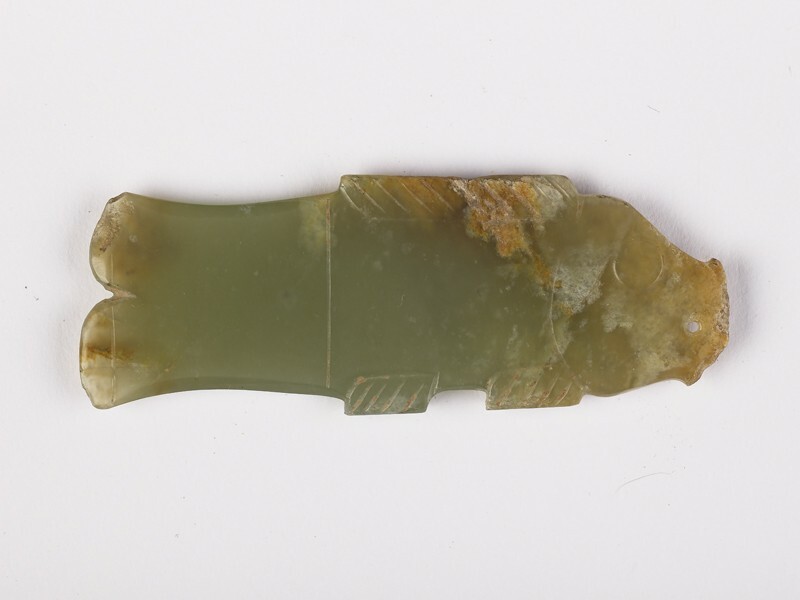 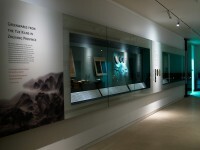 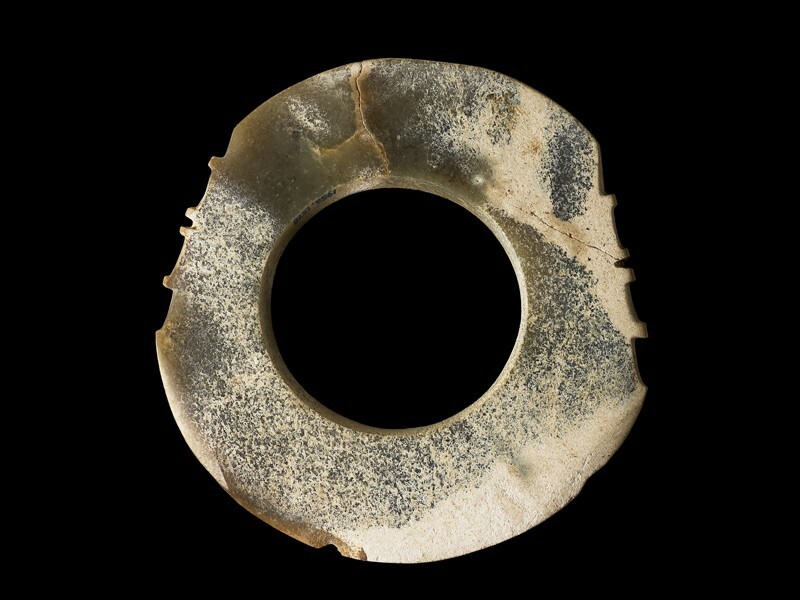 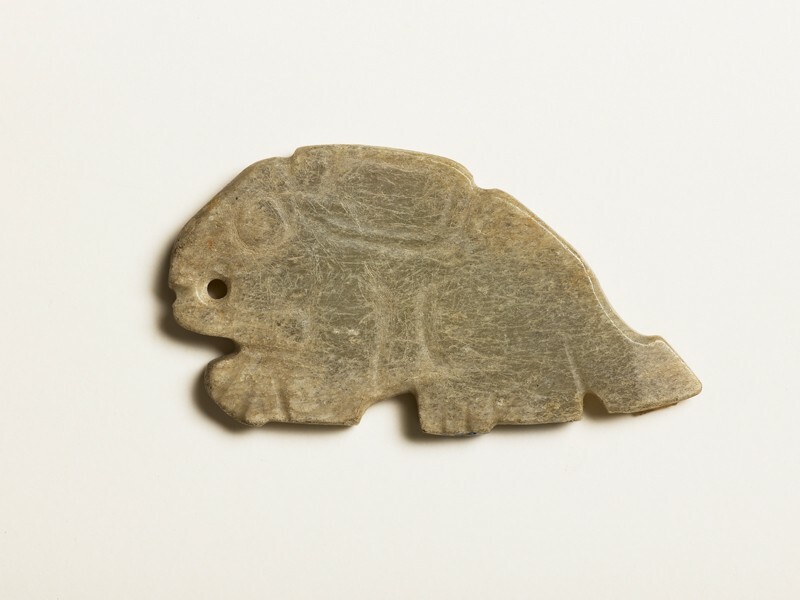 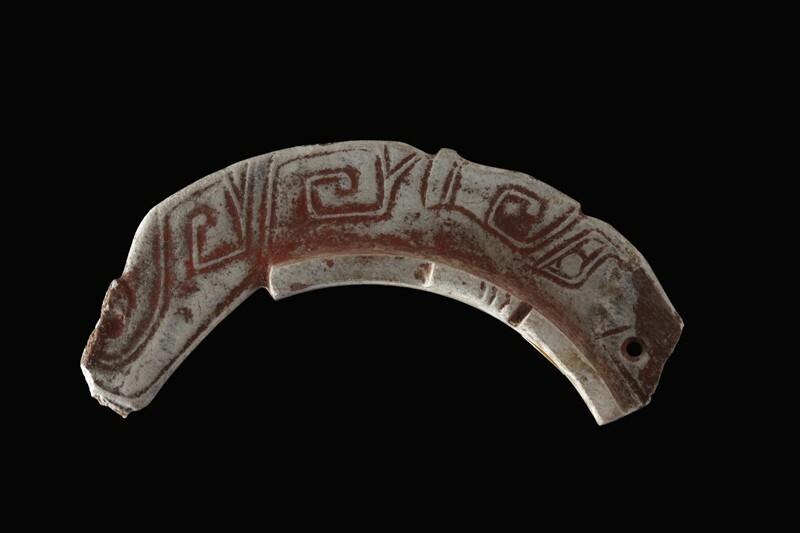 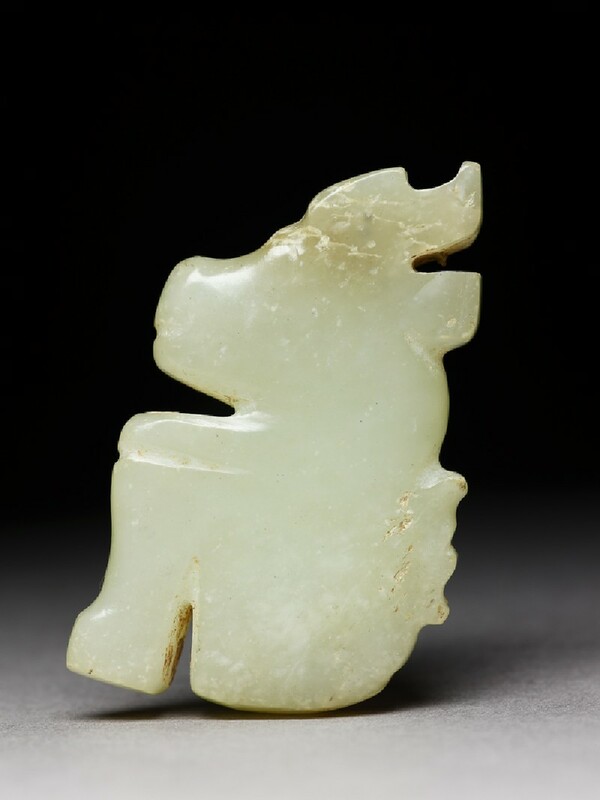 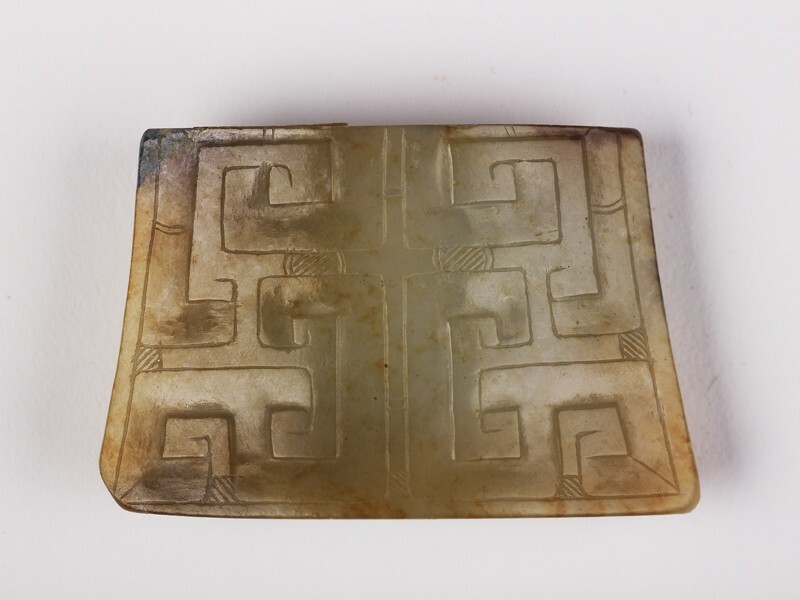 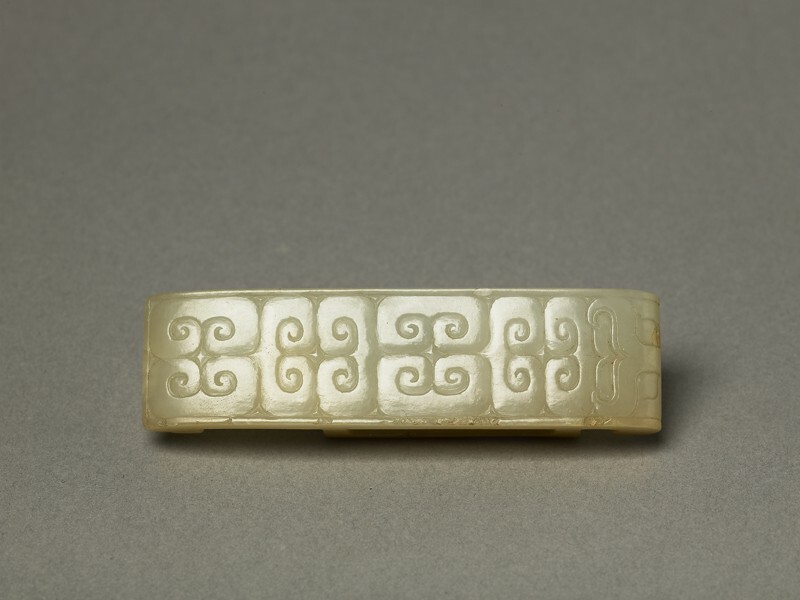 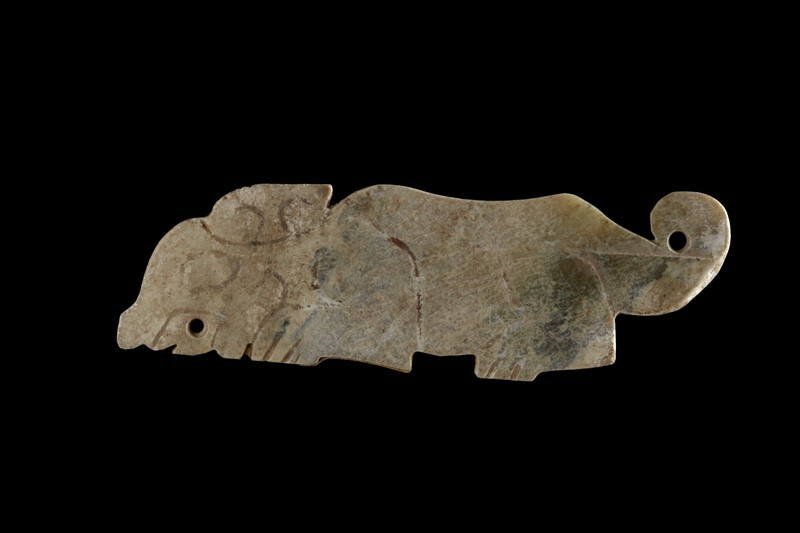 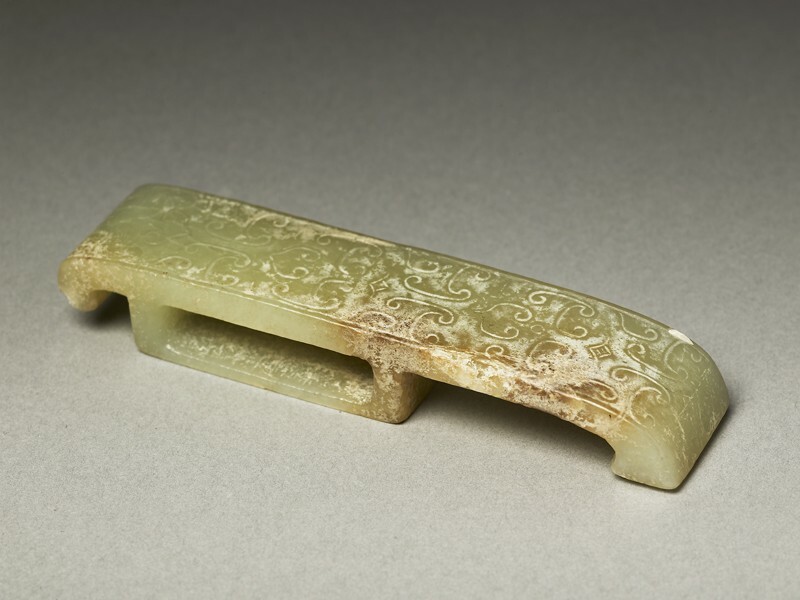 Carvings in jade and other hard stones are the finest objects that survive from Neolithic China. 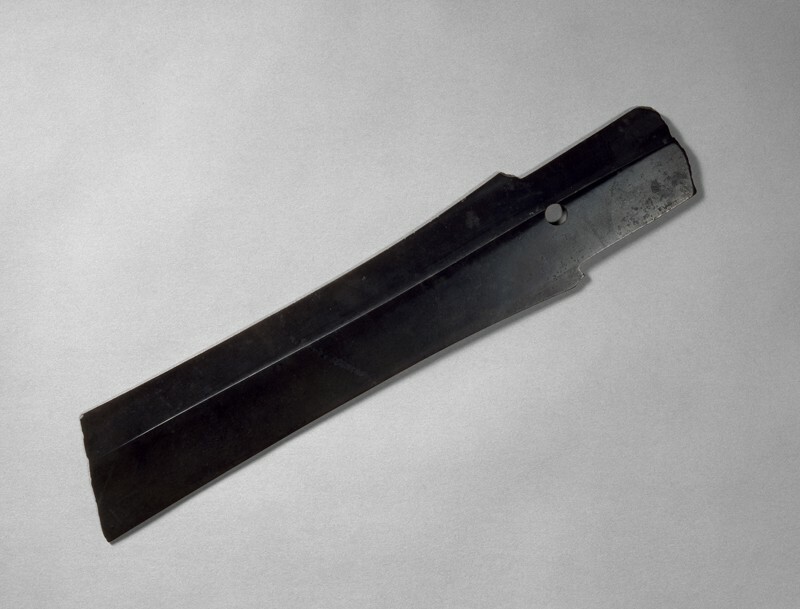 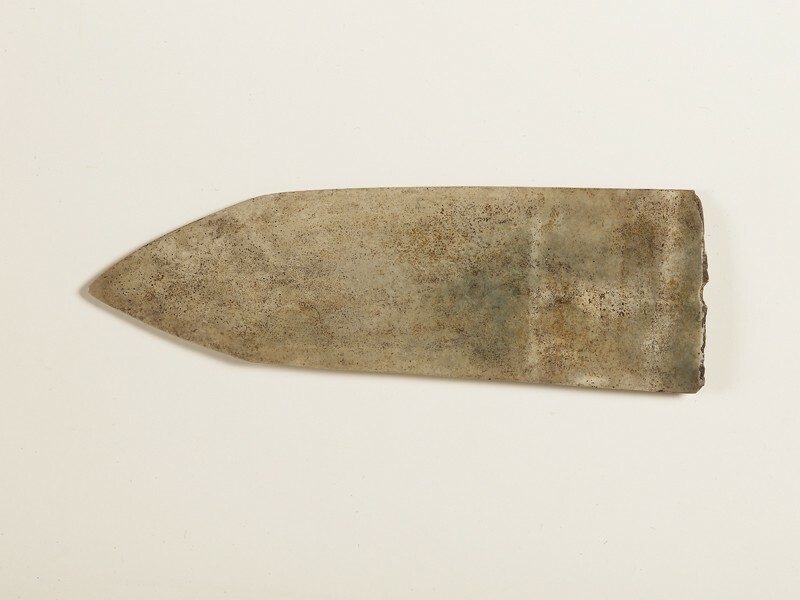 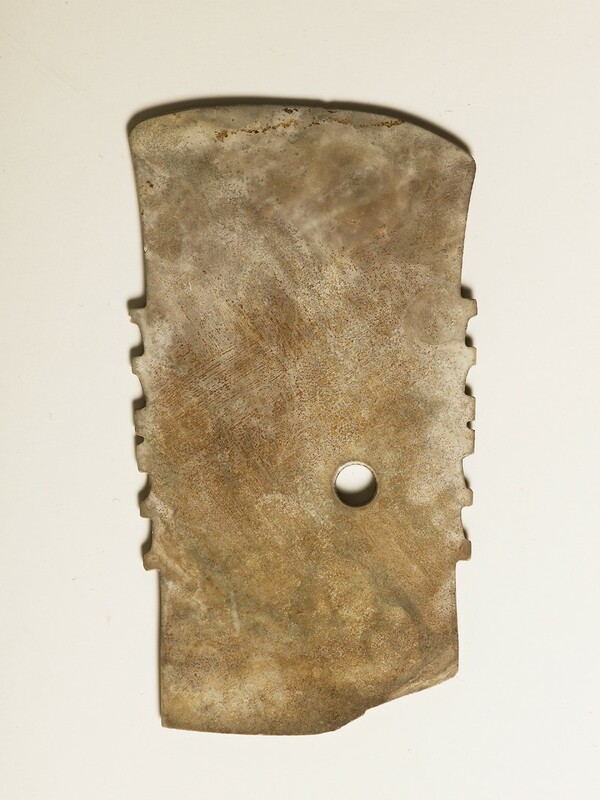 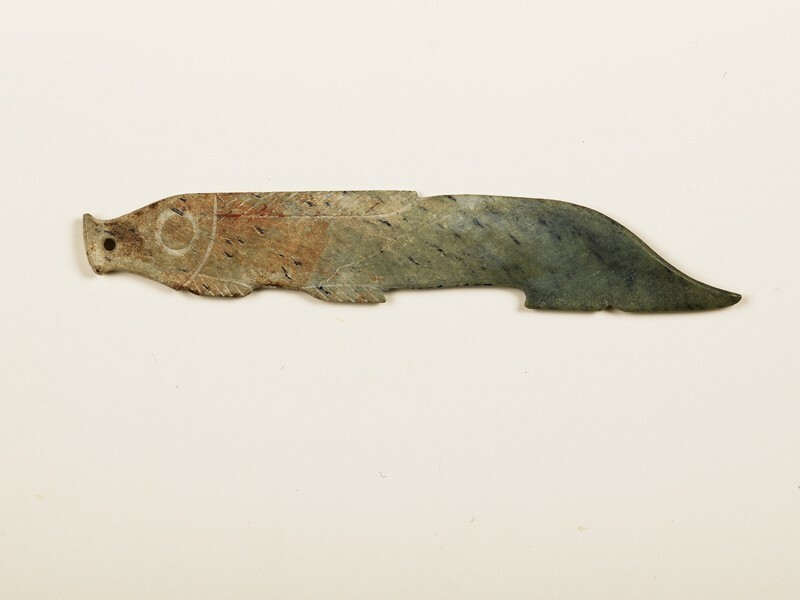 Most are ceremonial pieces made in the forms of metal knives. 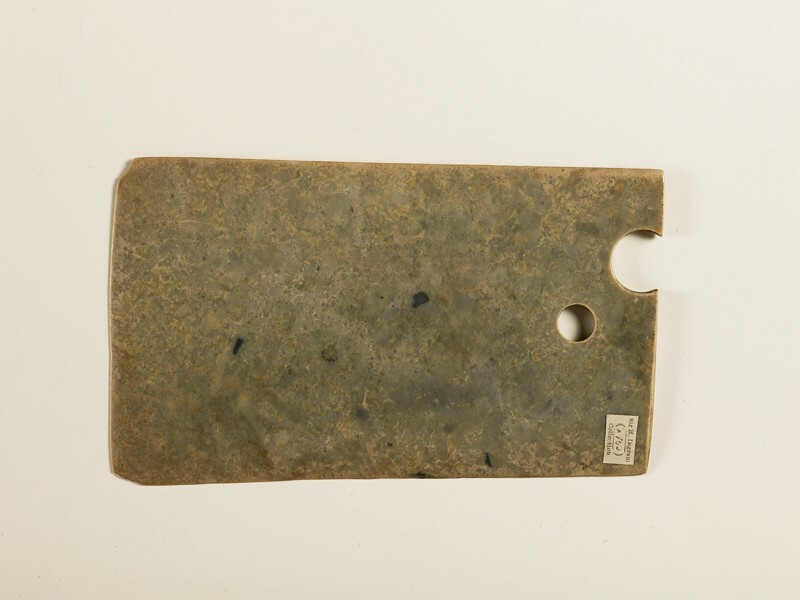 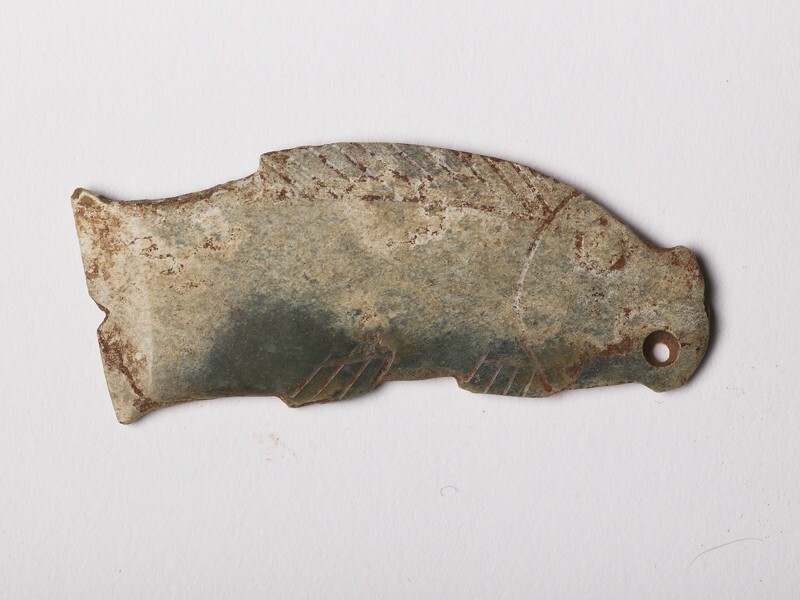 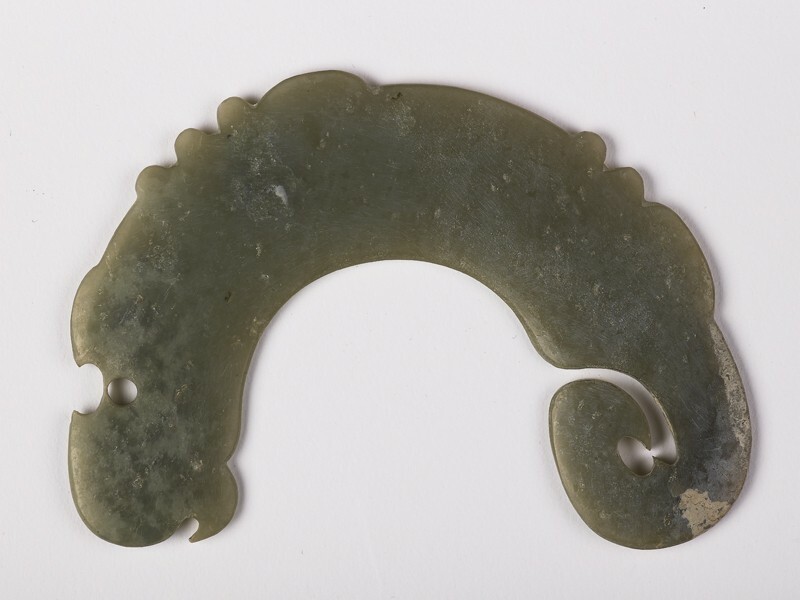 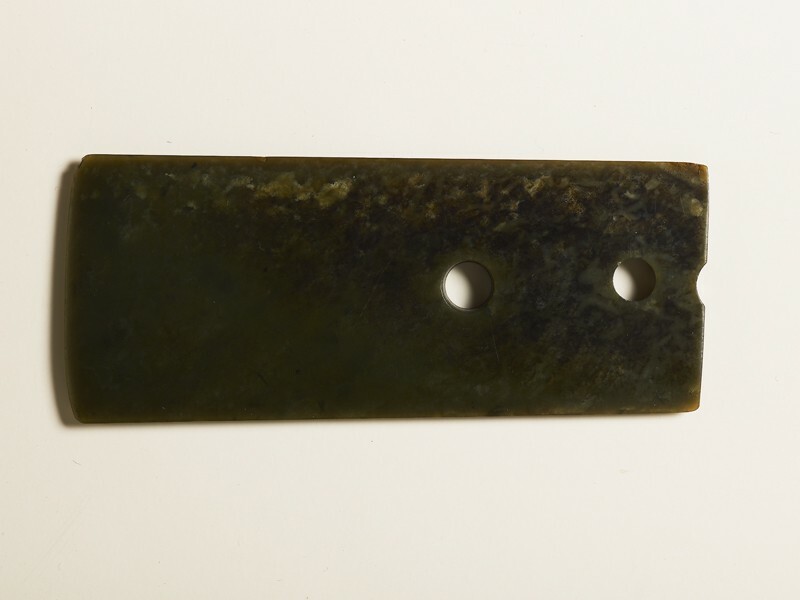 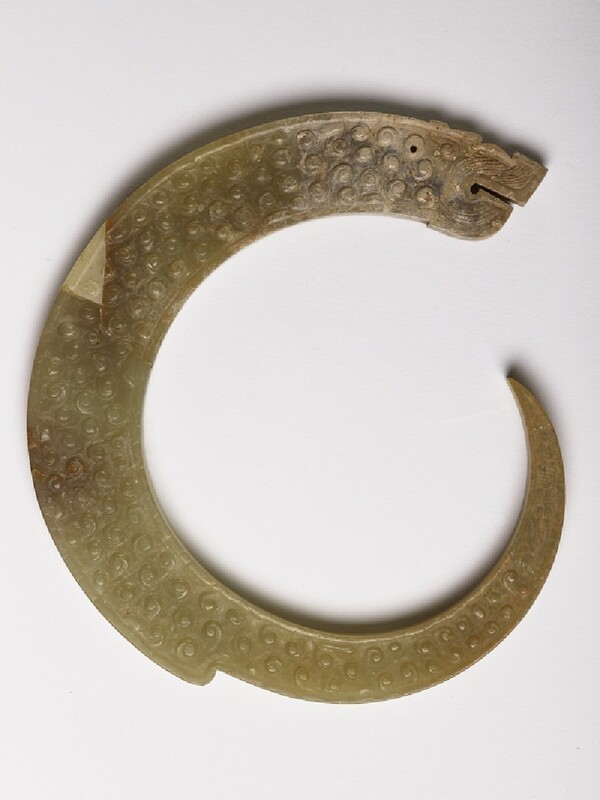 Jade was worked with abrasives and the process was slow and labour-intensive, making the items valuable. 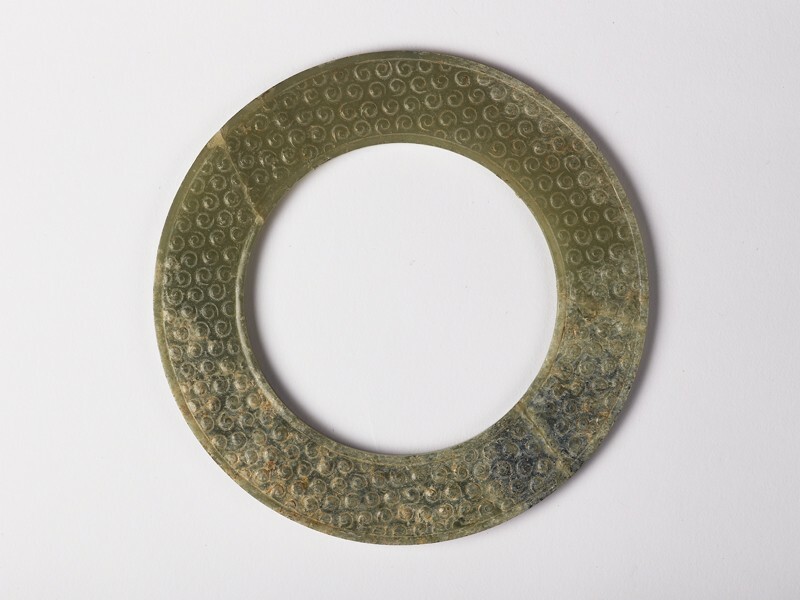 Later in the Shang and Zhou dynasties, many personal ornaments were carved in jade in imitation of the motifs on bronze vessels, and were sometimes assembled into many-tiered necklaces and girdles for burial. 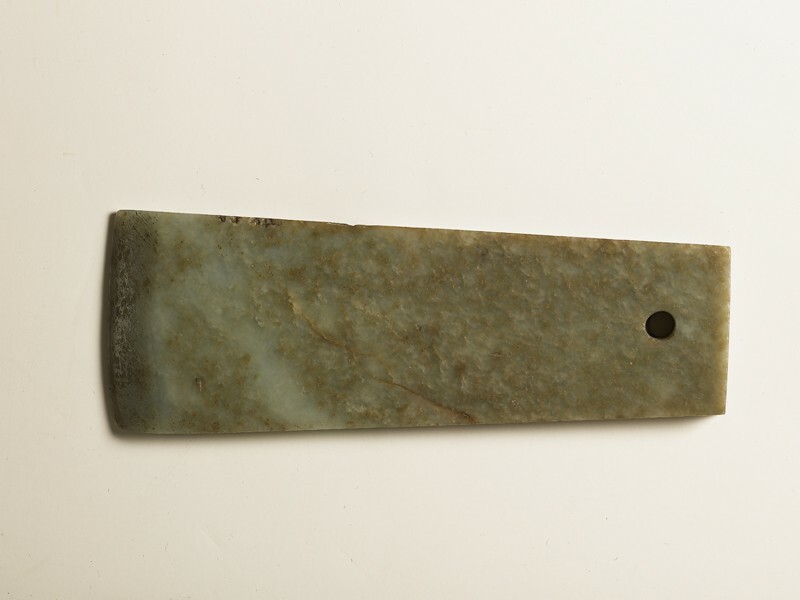 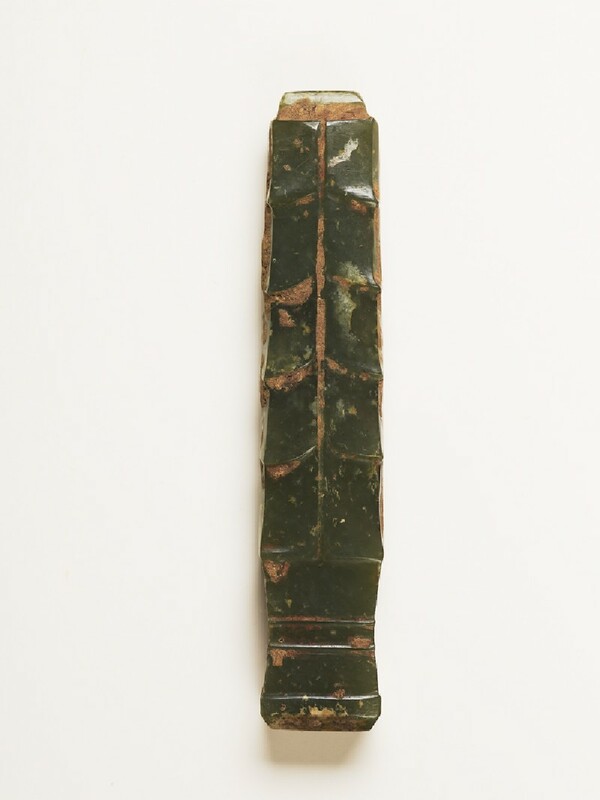 In the Han dynasty, jade was considered to have protective properties. 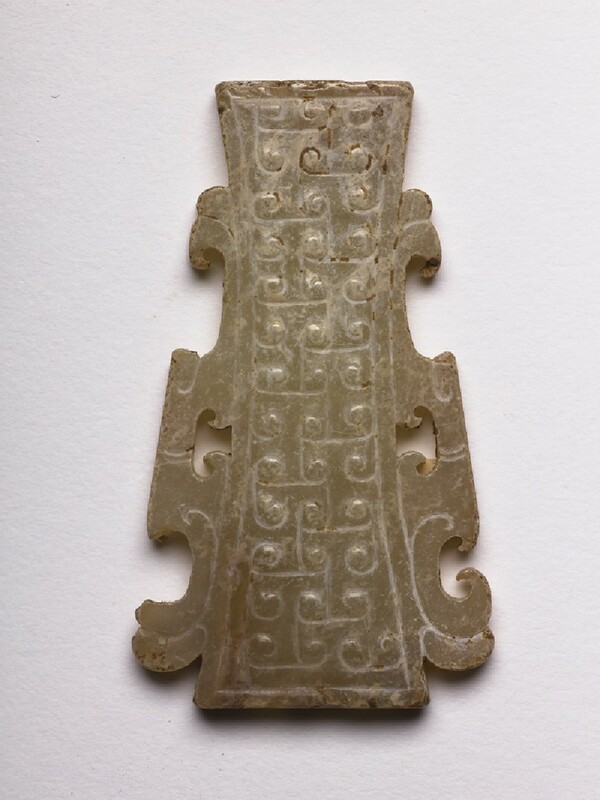 Jade coverings were placed in the hands and over the eyes and mouth of the deceased, and a few tombs have yielded entire suits of jade plaques sewn together.